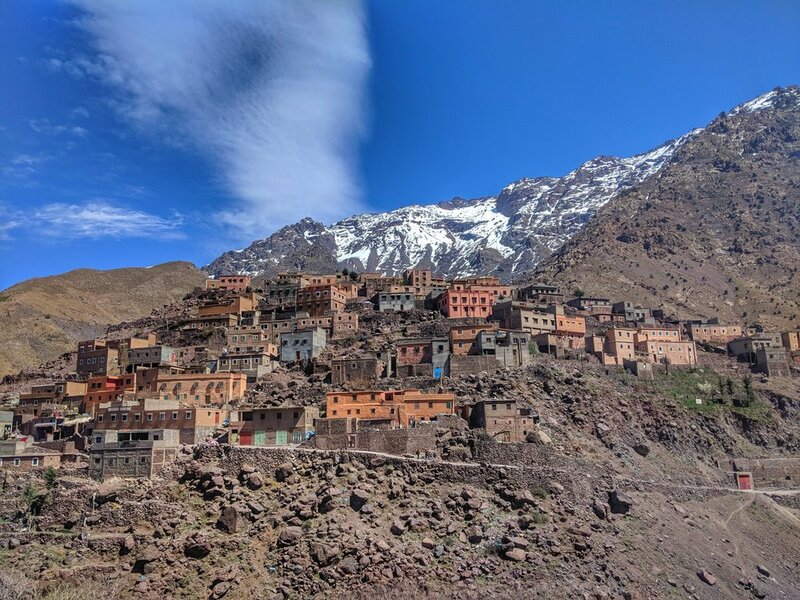 Depart from Marrakech by 4×4 vehicles towards the High Atlas mountain town of Imlil with views of terraced valleys, blooming almond trees, flowing creeks and the highest mountain in northern Africa, Jebel Toubkal (13,670ft). From here we begin our run on a quiet dirt road that takes us along a gorgeous valley with non-stop views of the surrounding snow-capped peaks. Finish with a fresh picnic lunch and a relaxed evening in a luxurious family-run guesthouse. Fell in love with Imlil? Good, because you get to stay a bit longer! 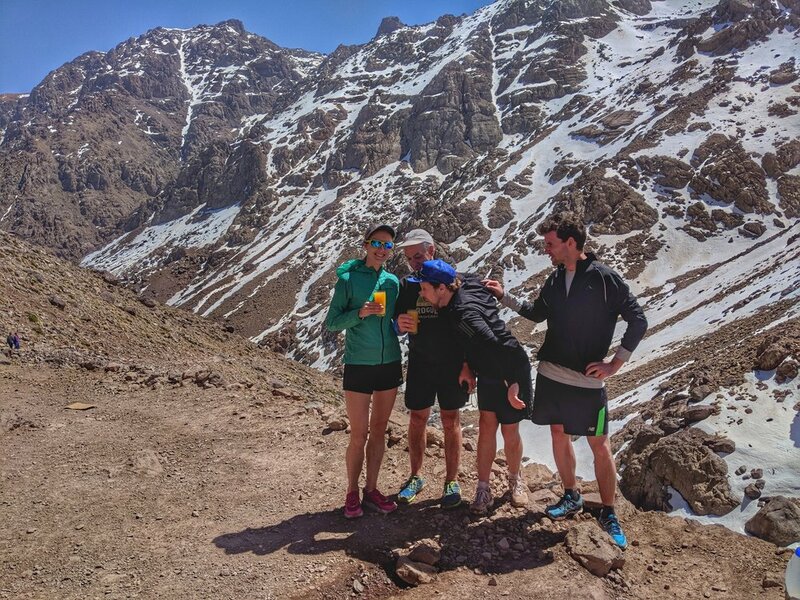 Begin the day with a morning trail run towards the base camp of Jebel Toubkal, North Africa's highest mountain. 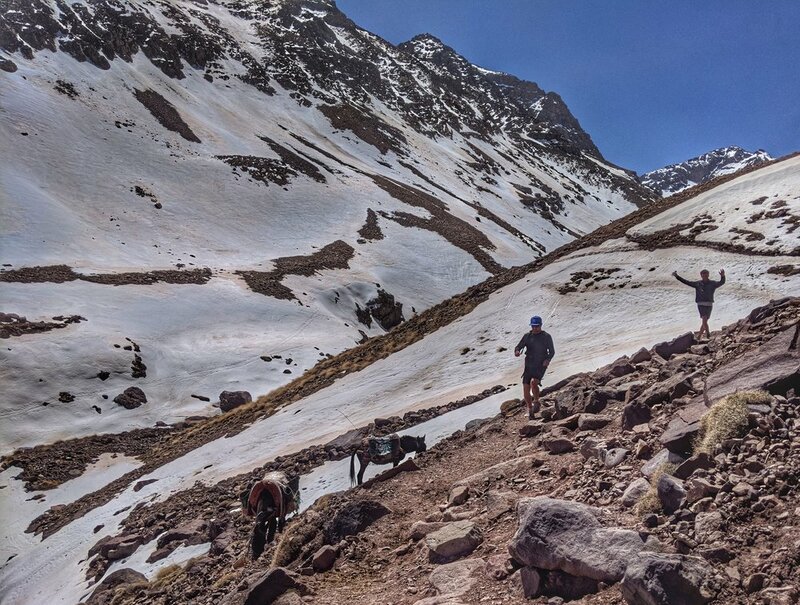 Prepare to be challenged by the terrain, amazed by the spectacular views and - for those who go the full distance - a long day on the trail and a high point of over 10,000 ft. (yes, you'll probably get to play in some snow!). The rest of the day is spent exploring the village, learning about local argan oil production and relaxing on the sunny rooftop terrace. 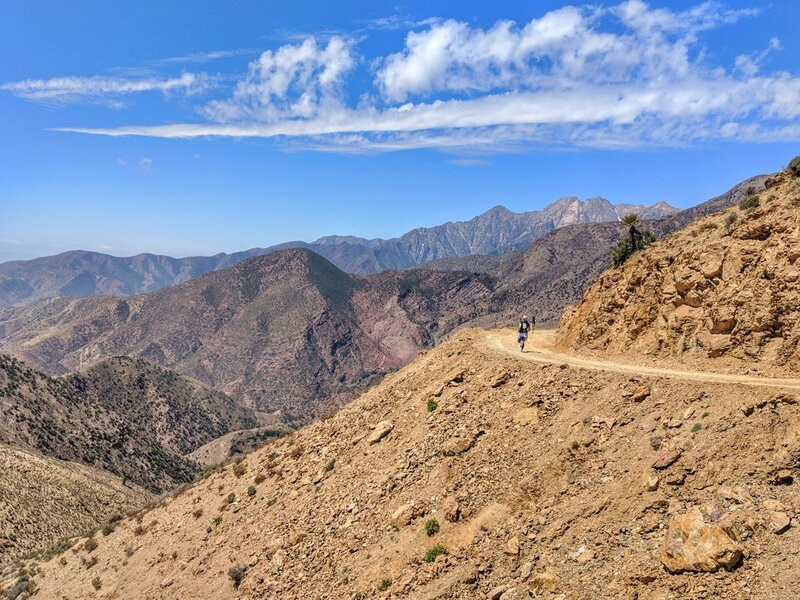 After breakfast we will head towards the Tizi n’ Test mountain pass, one of the most spectacular drives in all of Morocco. As we begin to descend we will leave the pavement behind and take the road less traveled. 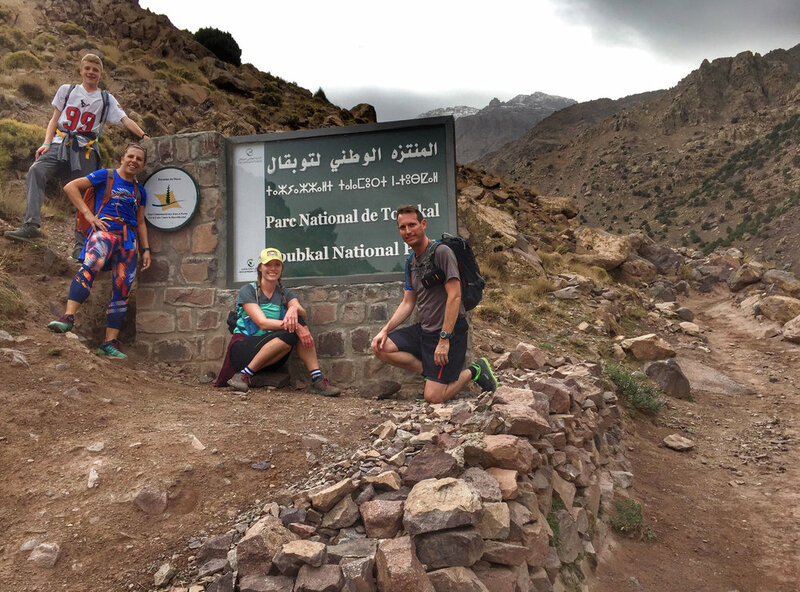 From here we will run down into the Souss Valley, taking in sweeping mountain views and passing through tiny, remote villages along the way. Prepare to be joined by local kids! 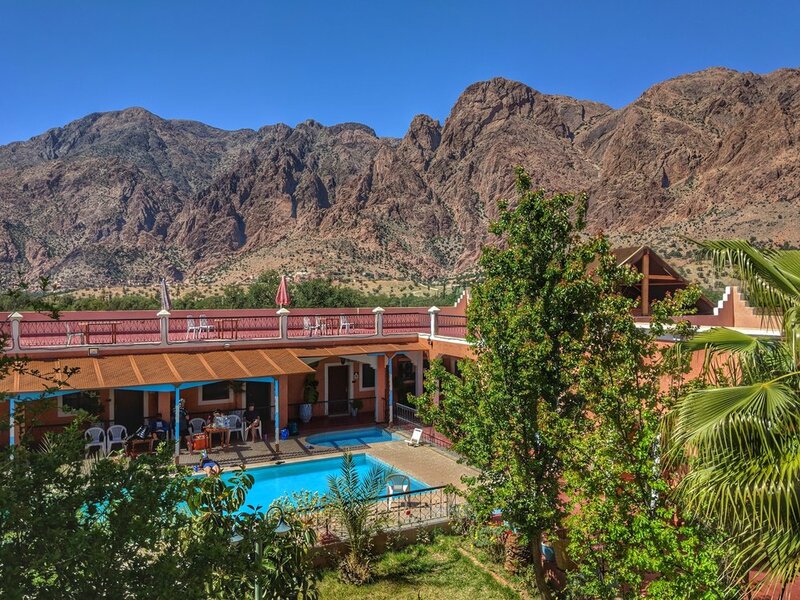 After a picnic in the palm oasis, we'll head to Taroudant where you can relax poolside or go out and explore the 9th century medina while dinner is prepared. 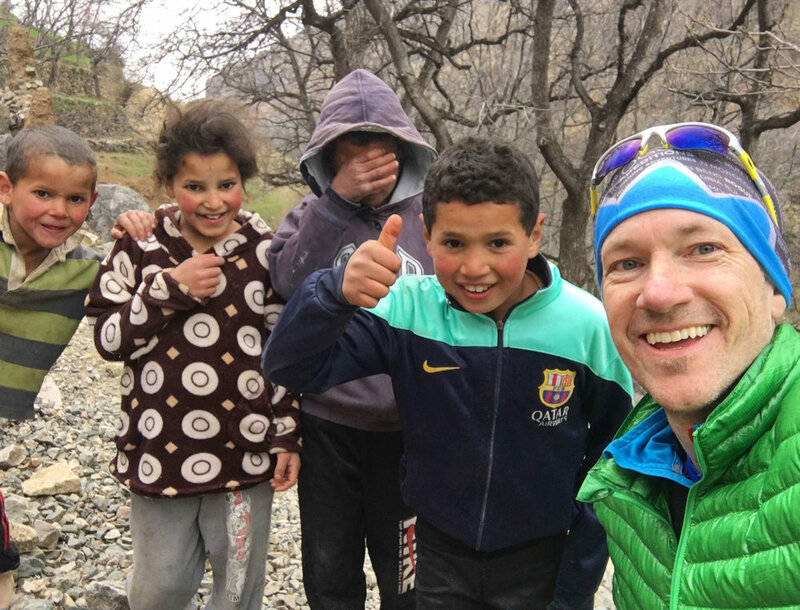 Today we head for the Anti Atlas mountains and the picturesque village of Tafaroute. 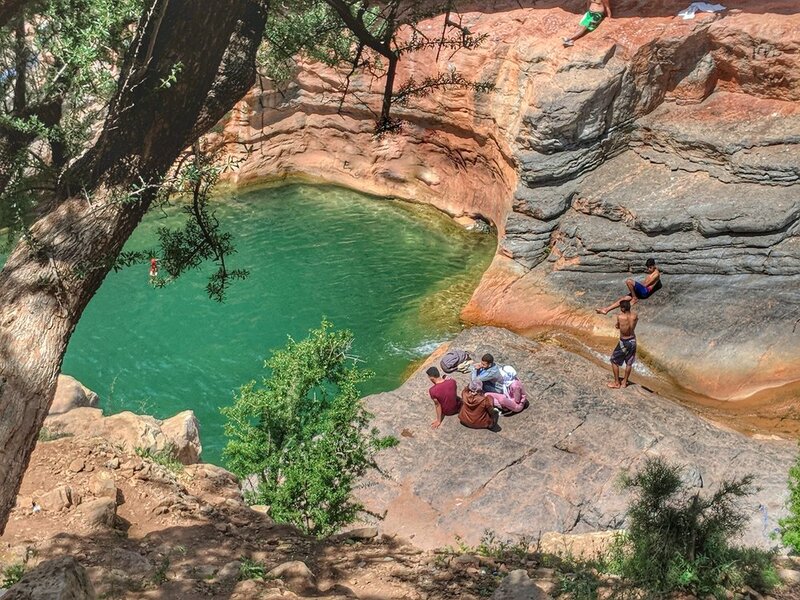 This is a land of soaring red cliffs, crumbling kasbahs and soft, magical sunlight. 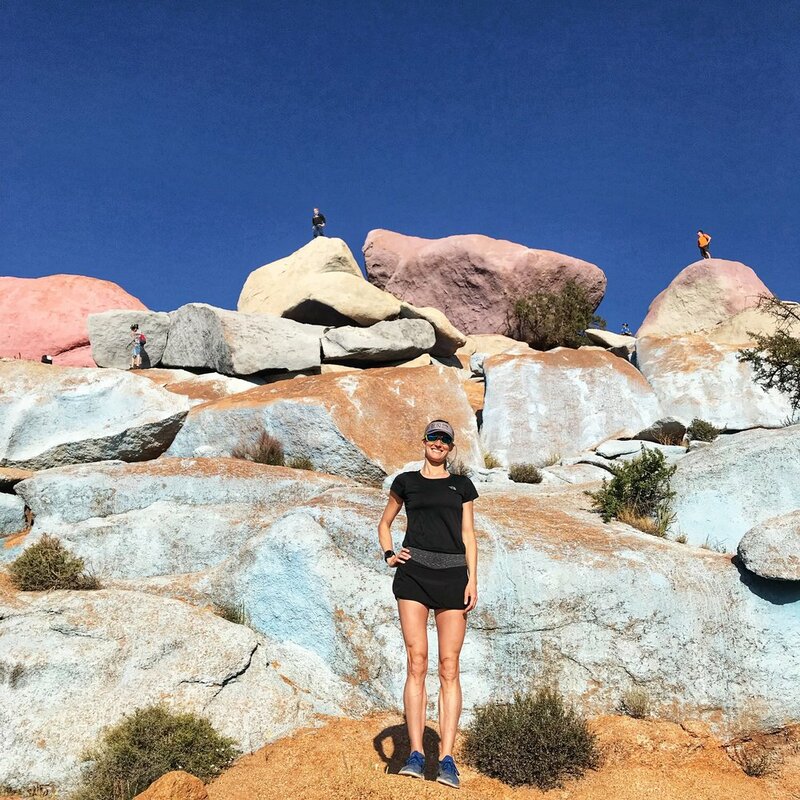 After getting settled into the hotel we'll head out for an easy evening shakeout run amid surreal rock formations and the famous painted rocks; once again, bring a camera! After that, get some rest - tomorrow is the long run! After a light breakfast we'll head out for the long run. 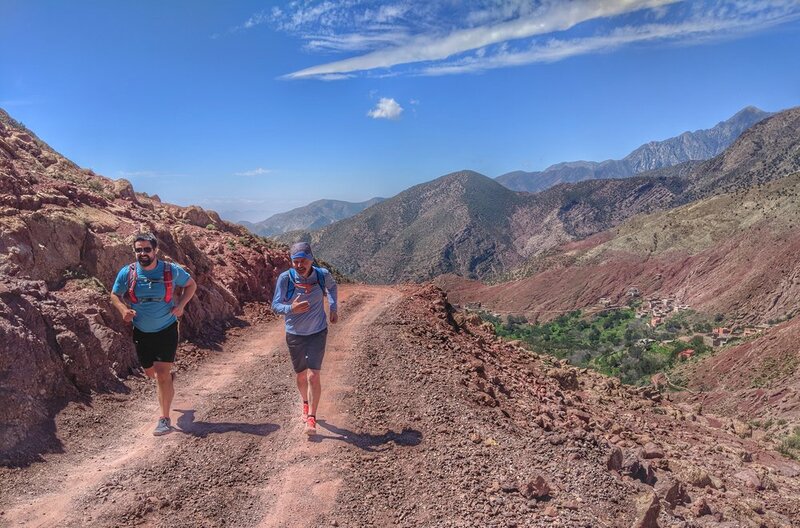 Those who choose to run the full 18 miles will begin with a loooong climb accompanied by sweeping views of the Ameln Valley. The reward comes as you descend into a deep canyon and a thick, endless river of date palms - it's magical! Finish with a picnic in the oasis before heading back to the hotel for an easy afternoon of recovery by the pool. Rest day! After a relaxed morning we will head for the coast and the quaint fishing village-turning-surfing-mecca of Taghazout. 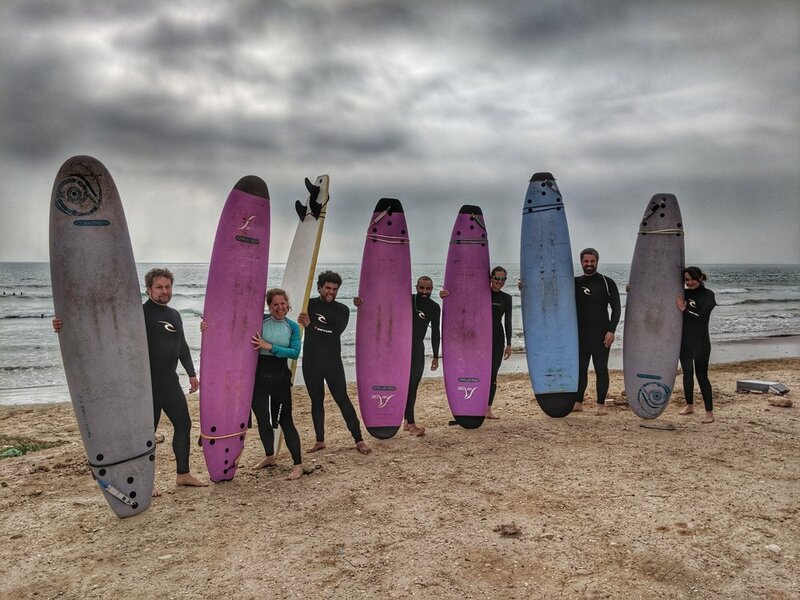 Spend the afternoon and evening as you wish: take surfing lessons, explore the village or simply indulge in a book and the sound of the ocean. 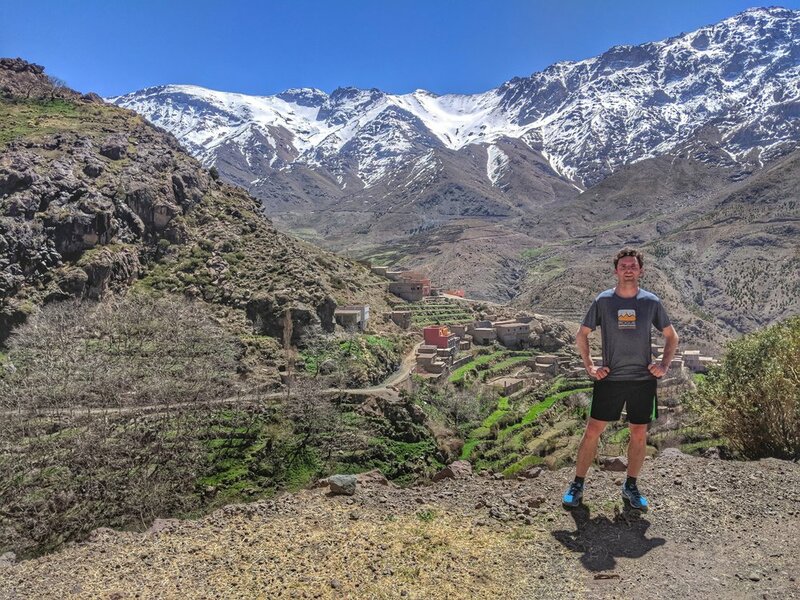 After waking up to the sound of the ocean, we’ll set out for the trails of a very special mountain valley and our final run. 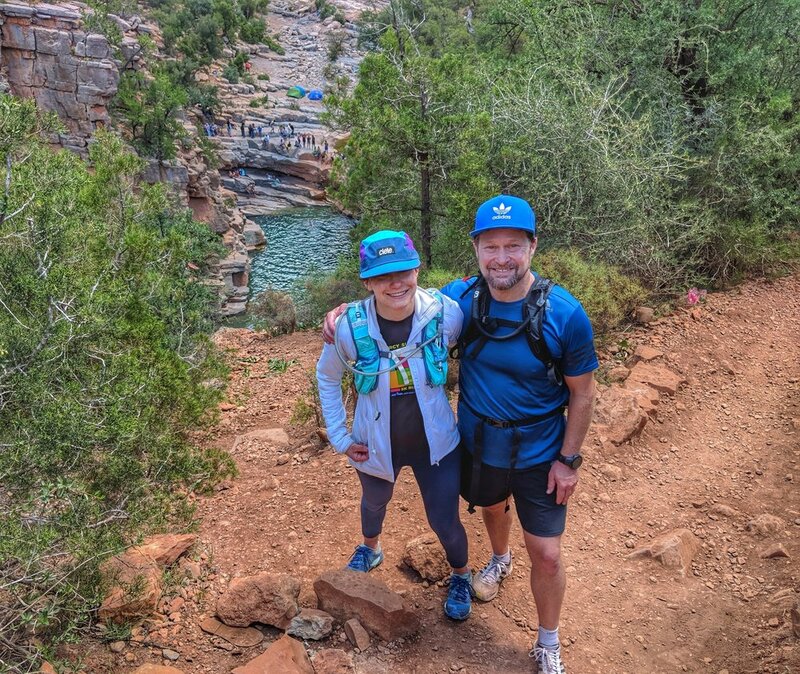 Expect rugged terrain and photo opps galore with canyons, palms and swimming holes! 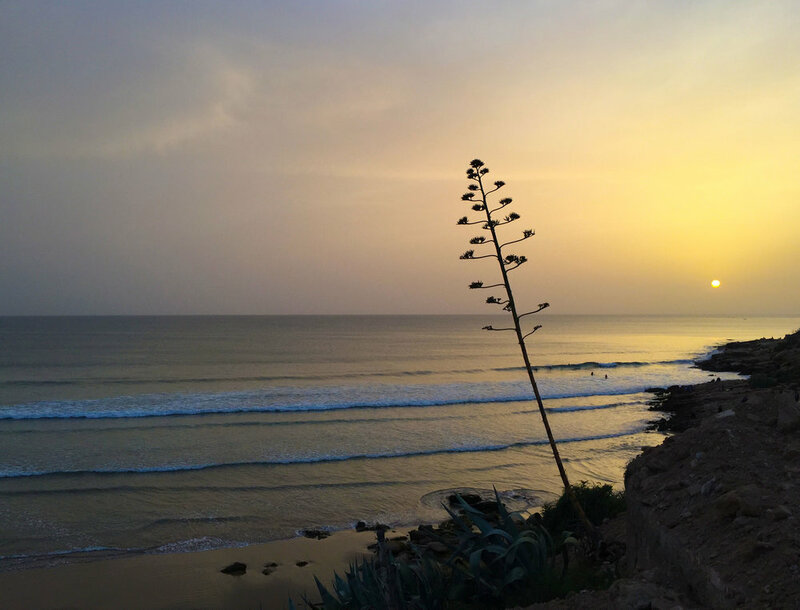 The rest of the evening will be for soaking in the laid-back vibes of Taghazout and enjoying a very special final dinner together. Balance due by January 5, 2019. Please refer to the FAQs for our cancellation & refund policy. There will be a minimum of 8 and a maximum of 18 runners. US citizens will need a passport with at least 6 months of validity upon entering Morocco; no visas or vaccinations are required. Participants from other countries should check with their consulate for entry requirements. 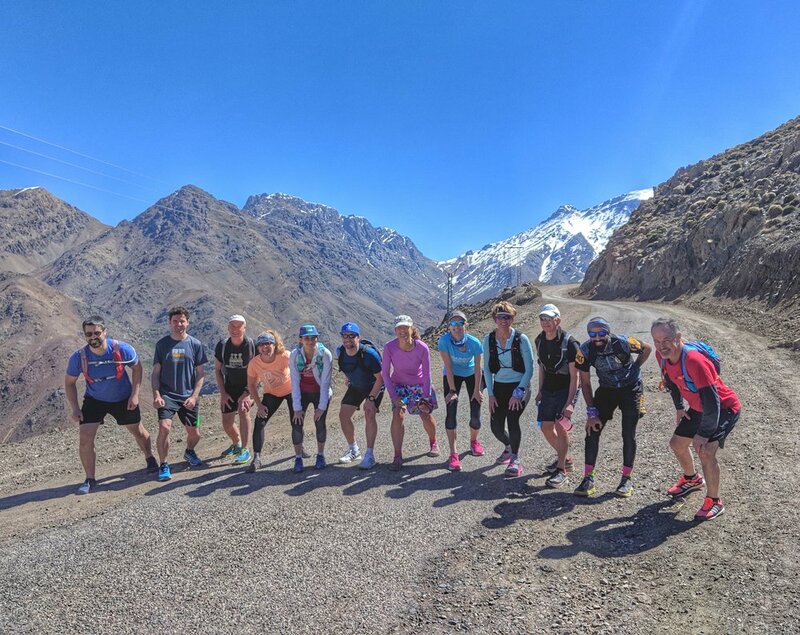 Please ensure that you arrive in Marrakech no later than 3pm on April 5 and depart Marrakech no earlier than 12pm on April 13 (departures between 2-5pm are ideal). If you arrive/depart outside of those parameters then you will be responsible for your own airport transfers (we can help you make arrangements but there will be added cost). Please note that travel insurance is strongly recommended. Although we hope you never need it, we've seen enough to know that it can be a lifesaver in the event of a medical emergency, flight delays that cause you to miss the start of the trip, lost baggage or cancellation on your part (break your leg two weeks before departure? Insurance can cover the entire cost of your trip! Flight delay causes you to miss the first day? Insurance can cover the cost of transport to meet up with the group!). Please keep in mind that Morocco is a developing country. Though you will be very comfortable and well taken care of, an adventurous and adaptable attitude is a must!